Android - don't put the robot in the dock! 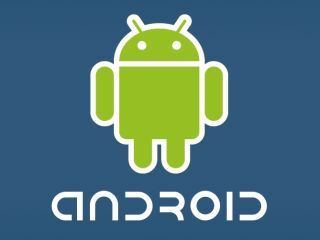 A software developer is seeking over £70 million in damages from Google and the Open Handset Alliance after a lawsuit over use of the Android name. Erich Specht runs a company called Android Data Corp, and believes that Google and 46 other companies involved in the OHA are liable for trademark infringement. "Basically, it's a stolen name," said his lawyer, Martin Murphy. "It's our trademark, and Google is using it as if it's theirs." These kinds of cases are common when a new product comes out as there's usually some company looking for a slice of the multi-million pound pie that's suddenly popped up. But unfortunately for Google, Specht may have a pretty good case, as the name he trademarked in 2002, Android Data, seems to still be standing firm. Google believes the claims are without foundation, stating that Specht let the trademark lapse due to inactivity. But when the Big G tried to get an Android trademark before the OS's unveiling two years ago, it was denied on the basis of Specht's original claims. Google appealed, but the US Patent and Trademark Office rejected this and subsequent attempts too, before suspending the application altogether. Google currently hasn't contacted the company or its lawyers directly, but Murphy believes a settlement is the most likely option. What's more worrying is fact that should the case stand, Google could be forced to withdraw the Android name altogether, which would severely hurt the launch of the new HTC Magic.